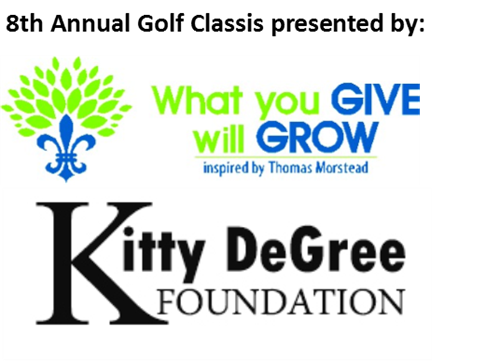 It’s time to tee-up for the 8th Annual St. Francis Foundation Golf Classic presented by our title sponsors the What You Give Will Grow (WYGWG) Foundation, inspired by New Orleans Saints punter Thomas Morstead and his wife Lauren, and the Kitty DeGree Foundation. Due to the overwhelming support of our businesses and community, we will have a full day of golf (morning and afternoon flights) again this year. The tournament will be held on Friday, April 12, 2019 at Bayou DeSiard Country Club and the reception and silent auction will be held on Thursday, April 11, 2019 from 6 - 8 p.m. at Brenda & Charles Marsala’s home. We would love for you and/or your company to join us this year. Attached is the sponsorship/team information or you can click here https://stfran.com/ways-to-give/events-and-fundraisers/golf-classic to link to the registration form and event details. 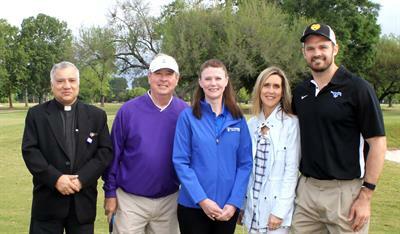 This event has been a huge success and we know this year will be even better! Our mission is to care for those most in need throughout our community strengthening the health of families, in particular women and children, through enhanced clinical excellence, advanced technology, increased access to care, and support to the more than 500,000 people in 17 Louisiana parishes and 3 Arkansas counties. Each year St. Francis Medical Center cares for more than 4,000 newborns, mothers, babies, pediatric patients and area children through the region’s only Level III Neonatal Intensive Care Unit (NICU), Level II Pediatric Intensive Care Unit (PICU), Level III Labor and Delivery and dedicated pediatric unit. St. Francis is also the region’s only neonatal transport hospital transporting more than 200 babies each year from outlying hospitals in Louisiana, Arkansas and Mississippi. Because of the participation and ongoing support of businesses like yours, over the years this annual event has contributed more than $600,000 to support the highest level of services for women and children and those in need of critical care at St. Francis Medical Center.